When Barry Phipps relocated to Iowa City from Chicago in 2012, he knew nothing of Iowa. He began taking day trips across Iowa in the spirit of wonder and discovery. His marked-up road map soon became a work of art in and of itself, covered with spokes, lines, and places both seen and needing to be seen. Along the way he plied his trade, taking photographs. In addition to their startling attention to color and geometry, Phipps’s photos delight because they suggest an author who isn’t on intimate terms with his subject matter, but very much wants to be. Though the photographs in this collection frequently maintain a cautious distance from the houses, water towers, and iconography he captures on film, the pictures feel, at once, eager and shy. Phipps admires his new home—from afar, by varying degrees—and excitedly introduces himself to it: the first steps of a journey toward claiming Iowa as his. 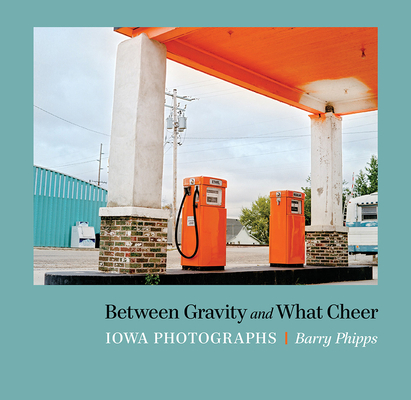 Barry Phipps is an Iowa City–based multimedia artist. Since graduating from the Kansas City Art Institute, he has spent nearly three decades as a working artist. In the 2000s he founded North Branch Recording Studio and the Tight Ship records label. For the past ten years he has worked as a professional photographer in Chicago and Iowa City.